For over 37 years, Garry Robertson DJ Entertainment has been providing the Lower Mainland with personalized quality DJ entertainment. Back in 1974 Garry Robertson DJ Entertainment was one of the very first companies to bring “recorded music” to events and parties. This was a big deal, mostly because for the first time there was a viable option to hiring a band to play dance music. Once the word got out, we couldn’t keep up with the demand! Clients loved that our DJs were able to play hour after hour, without taking a break – the dance music kept going all night, and it was the exact hits they loved, not some bands attempt to copy them. As our reputation grew, so did our ability to provide our clients with incredible service! Before long we were performing at hundreds of events year after year. Today, after well over 15,000 events, we are still creating new ways to ensure that our clients receive the best services from us, not only from our DJs, but from our office staff as well. 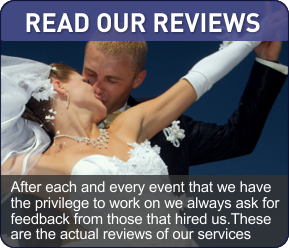 Our past clients and local venues love to refer our services. Their referrals have made Garry Robertson DJ Entertainment the most requested music service in the Lower Mainland. By providing outstanding service, and listening to our clients, we produce amazing results! 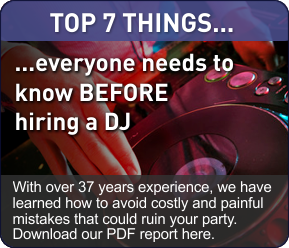 How much experience should your DJ have? That is a great question, and something that is best answered with another question – How important is the music to your event? If music and dancing really are not that important, then any DJ can do the job, and your best bet is to find someone that will do it for the least amount. However, if it is important to you that your guests enjoy a fun night of dancing and celebration, then it stands to reason that the DJ Company you choose should have the experience to create exactly what you want. How much experience is needed? How about over 34 years? How about over 15,000 events? Does this mean that Garry Robertson DJ Entertainment is the absolute best DJ service in Vancouver? That depends on who you ask; Our clients that know that the music is very important for the success of their event say we are, and they also recommend us to everyone they know. Event planners and venues know the value in experience, they also know we are always on time, prepared, and our events are always a huge success. They too recommend our services to their clients. 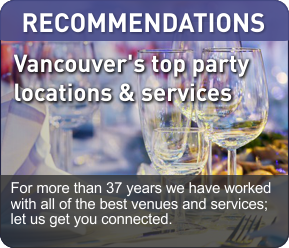 – YES we have been and will contunue to be the very best DJ Entertainment service in The Greater Vancouver area!